Forza Motorsport and DLC go back a long way. All the way back to Forza Motorsport 2, in fact. The first DLC pack for that game was released in August 2007, with another following in September of the same year. Since then, Forza Motorsport and add-on content has become virtually synonymous – with every successive Forza Motorsport game featuring regular of car updates through monthly DLC packs. Forza Motorsport 4 alone featured a staggering 12 monthly packs, not counting free add-ons like the Hyundai Pack or expansions such as the Porsche Expansion Pack. For Forza Motorsport 5, Turn 10 Studios will once again be bringing a regular cadence of add-on car packs, featuring a collection of amazing cars to make your own. Every add-on car will feature a full Forzavista experience; walk around the car, check out the interior, start up and rev the engine, learn about the car’s history and performance statistics; you can even add a new livery design, change the paint color, or tune your car all from the same Forzavista experience. Every car has a story to tell in Forza Motorsport 5 and, with regular car pack add-ons, the stories will continue to unfold long after Forza 5’s November 22 launch. If you’re a Forza fan, you won’t want to miss out on any of this automotive awesomeness we’ve got planned, and the Forza Motorsport 5 Car Pass is a great way to keep up. The Car Pass will bring you the freshest add-on cars as they are released; Car Pass owners will get six add-on packs (10 cars each) for one discounted price. The Forza Motorsport 5 Car Pass will be sold for $49.99, representing an 18 percent discount over buying each pack individually. The Car Pass will pay off on the day Forza Motorsport 5 launches in a big way, as that’s also the day we are releasing the first add-on car pack for Forza 5: the LaFerrari Car Pack. As its name implies, the pack will feature a doozy of a hero car: the 2013 LaFerrari. You can get a glimpse of how this once-in-a-generation hypercar looks in Forza Motorsport 5 in the screenshot above. As good as it looks, it promises to drive even better, thanks to Forza 5’s outstanding physics and state-of-the-art tire modeling. 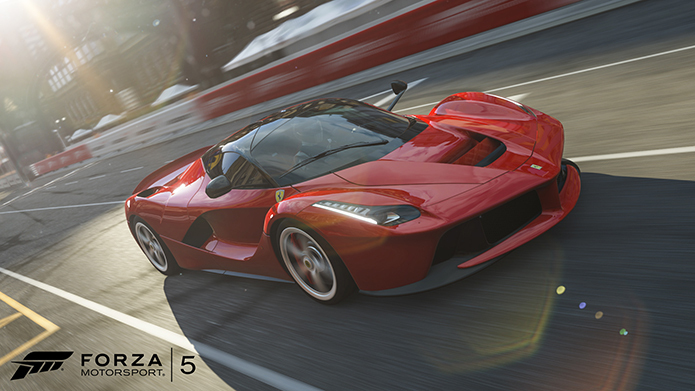 Look for more details on the LaFerrari and the LaFerrari Car Pack for Forza Motorsport 5 in the near future. In the meantime, look for our next update of the Forza Motorsport 5 Showroom this coming Wednesday, November 6, featuring a complete list of all the cars that will be playable in Forza 5 upon the game’s release on November 22.